Results of recent clinical trials carried out on type 1 diabetics by Nemaura Pharma using its Memspatch insulin micro-needle device (IMD) reportedly show promising results for patients with a phobia of needles and injections. Nemaura says Memspatch IMD ‘compared favourably’ against a commonly-used pen injector (PI). The single-site clinical study involving 18 type 1 diabetic patients took place over two periods, with a pain assessment performed on each visit to evaluate the severity and quality of the pain. The numeric pain rating score system nought to 10 was used; which scores no pain at 0, through to 10 indicating the most intense pain sensation imaginable. Patients were asked to record their experience of the respective IMD and PI devices and to think about the intensity, sharpness and itchiness of the pain immediately after administration. Whilst pain intensity and sharpness inflicted by the PI reached five for several patients, the Memspatch IMD recorded zero or one when applied to the arm or thigh. 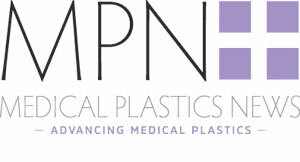 The Memspatch IMD is held flat against the skin, with skin-penetration confined to a depth of 2mm to 4mm, which is less than half the usual 9mm depth for pen injector needles. Insulin delivery through shallow micro-needles requires little training or basic skills, making self-medication much easier. In 2016, Nemaura received Frost & Sullivan recognition of its advanced micro-needle capability in skin drug delivery. The group says it aims to be one of the leading pharmaceutical technologists in this fast growing market, which is expected to be worth £33 billion by 2018.